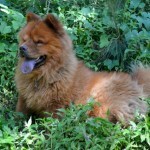 The first dog we brought in after forming Unidos, Chow is now very much the King of the Cerro. 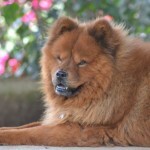 Chow was the first dog we brought in after forming Unidos para los Animales. 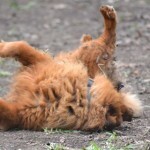 He had been loose on the streets for several months. 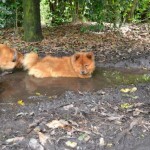 Although he was dirty and quite scruffy, it was difficult to see how thin he was because of his thick coat. 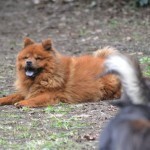 He had a pronounced limp in his left hind leg, which we later had diagnosed as a torn cruciate ligament in his knee, probably from being struck by a car. 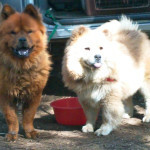 Chow came to us through a friend who had been feeding him. He attached himself to her, and stayed near her condominium, which was not a huge problem until one day when he spied the family cat through the open front door. A furious chase through the house ensued, with many things being knocked over and much screaming and general chaos. 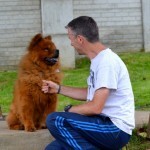 The chase ended with Fluffy the cat being pried out of Chow’s jaws, thankfully unscathed. 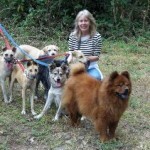 An hysterical phone call later, and Terry had a Chow Chow. 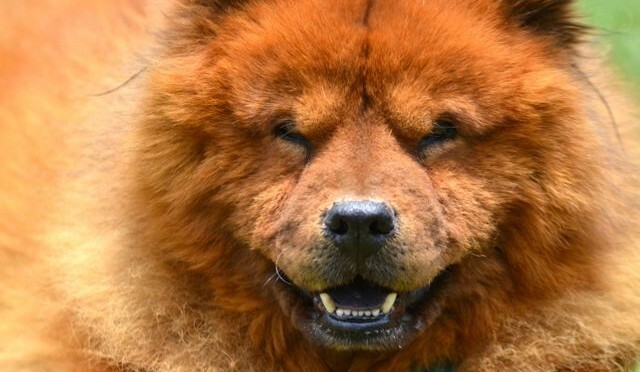 Chow is a spectacular Chow-possibly the nicest we have ever known. 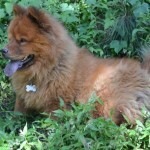 He is quiet, easy going, loves a walk and loves petting and attention. 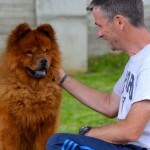 He is great with all people, and fine with most dogs at the shelter. Obviously, he is not fine with cats! He rides great in the car, is perfectly house trained, and is absolutely gorgeous. 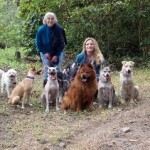 You may be asking why we have him listed as a Sanctuary Dog. 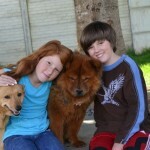 Chow could be adopted or permanently fostered locally. He has mild separation anxiety when put in new situations. If crated and taken to unfamiliar situations, he panics and could chew out of a crate so we would not dare risk flying him. 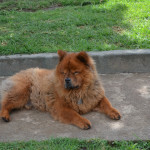 There are very few people in Guatemala who understand Chows and their character. 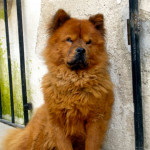 He is between eight and ten years old, we believe, so he is a senior dog. He has some arthritis, and takes a pain medicine daily for life to help keep him comfortable. 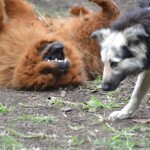 Although Chow is good with all people, he is still a Chow. He can be cranky, doesn’t appreciate people grabbing his collar to move him, and dislikes brushing on the back half of his body. He can snap at people for pushing him too far, too fast. Once he knows you and has a reason to consider you someone important, he is incredible. When he smiles at you, you melt in a puddle. 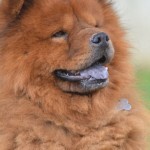 Chow is very much the King of the Cerro. He is patient and tolerant of all the dogs, and is very content in his routine of long daily walks, car rides to the coffee farm, surveying his domain, and receiving petting and adoration from his subjects. Recently he has decided that he would like to join in when we clicker train, and will honor us with a sit if the treat is sufficiently delicious. 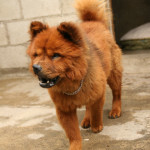 Chow is available to sponsor, and would love to have an angel. 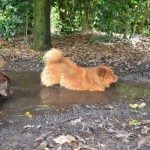 Chow LOVES to wallow in the mud! 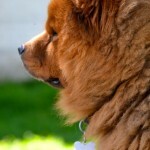 Chow has a GREAT profile!